The New Moon in Aries happens on Wednesday, April 10th at 5:35 p.m. EDT. 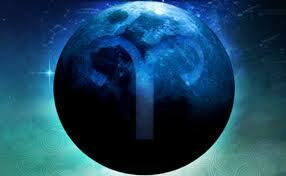 and, being the first sign of the zodiac offers us the energy of new beginnings for double emphasis on this New Moon. The symbol for Aries is the ram and the horns of the ram are metaphysically representative of a fork in the road – a choice being offered. This reminds us that we have free will – the right to choose. The Sun and Moon both being in Aries brings a great deal of energy and vitality for us to tap into, if we so choose. This can give rise to great activity of thought, quickness of perception, and perhaps even an inclination to excitability. Take care to avoid the fire of this sign that leads to bouts of temper. Anger will, however, disperse quickly and is forgotten easily. Time and energy should not be wasted on ideas that will not be followed up by action. Rather, we should take a new look at life, relate the past to the present and look with hope to the future. Pluto, in the midst of its long transit in Capricorn, will turn retrograde on Friday, April 12th at 3:32 p.m. EDT. Once again we are offered the energies by which we can deal with any remaining lessons concerning establishing our individuality within the society we have chosen to live in this incarnation. Establishing ones individuality, while remaining socially responsible, requires achieving a balance. The acquisition of that balance can cause problems for some. If there is already any karmic residue from the use of power or lack of responsibility, you may feel guilt and not understand why during this retrograde. If you have found yourself resigning to your “lot in life”, then this retrograde is offering you a chance to release that energy. This is the time to activate your self-determination – identify with your goals and abilities while actualizing them through your own efforts. To achieve success, in any area of your life, self-discipline is required along with a commitment to sustaining those efforts. Both of these can show you that you have a choice as to whether life remains as it is or changes. In order to take a healthy responsibility to our place in our society, we must first take a healthy responsibility to our own individuality. Pluto in Capricorn retrograde has come to show us we can do that and should! On Saturday, April 13th, Mercury moves into Aries at 10:37 p.m. EDT. This position of Mercury brings brilliance, originality and strength to the mind. Although concentration may be a problem, there is a love of new ideas and a desire for intellectual adventures. Mental energies are witty, amusing, quick and clever. As part of those new beginnings from the New Moon, Aries’ energies invoke adventure, fresh ideas and perspectives, and the desire to try new things never done before! The gates of change are definitely swinging open to any who choose to tap into these energies! Venus will transit into Taurus on Monday, April 15th at 3:25 a.m. EDT and brings the desire for emotional stability and lasting affections in ones life. Since Venus is the natural ruler of Taurus, these energies give a love of comfort, good food and beautiful surroundings. Money is, therefore, important to those affected by these energies, because it makes all these things possible. This is a time for close kinship with the Earth and so planning and planting a garden now is an excellent way to bring the beauty of Nature to fruition for you. It’s also a great time for creating beauty through any artistic medium including music, especially singing since Taurus rules the throat. Take extra care though that you don’t create a sore throat or even laryngitis for yourself while creating beautiful music with your voice. And speaking of Taurus, it’s time for the Sun to transition into that sign on Friday, April 19th, at 6:03 p.m. EDT. Taurus is a fixed, earth sign that is very practical in nature. Taurus is the natural ruler of the second house of money in the horoscope. Most Taureans can stretch a dollar until Washington screams “Uncle!” and they always seem to find the means and resources to cover their expenses. Taurus provides the energies that are affection, patient, reliable and enduring. However, the flip-side of this coin can provide stubbornness, possessiveness, and laziness. As with any energy, it is we who choose how we’re going to use it. Good fortune in many areas of your life can be promoted by using this transit of the Sun through Taurus to its best advantage! Hey, all you Taureans out there…. 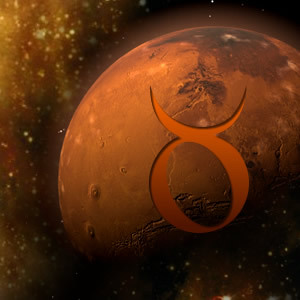 Mars now moves into Taurus as well, on Saturday, April 20th at 7:48 a.m. EDT and brings with it the problem of anger. Mars is known as the “red” planet and Taurus’s bull charges when it sees red! This isn’t just any anger though. We’re talking about things that have been held in for far too long. Mars in Taurus may bring that final straw that breaks the camel’s back and causes you to explode. Okay, so much for the “bad” news. The good news that this is a wonderful time for craftspeople and skilled artisans. Taurus, ruled by Venus, is about art and beauty while Mars is about drive, originality, and creating new things. This is about working hard and playing hard and when you are able to lovingly combine the two, then these energies can be quite satisfying for those who choose to tap into them. So have some fun and go create something beautiful! 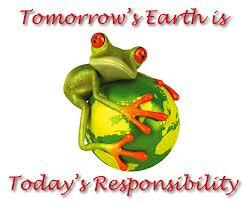 Earth Day happens on Monday, April 22nd. I always found it interesting that they chose the sign of Taurus in which to place this wonderful celebratory day. Astrologers have often theorized that if Taurus was to have its own planet (rather than share one with Libra) that it would be the Earth itself. 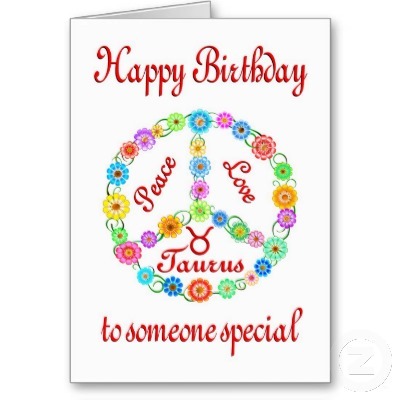 Knowing that this is also the same sign that contains Mother’s Day, one could make the quantum leap in logic that since the Earth is our Mother (Nature) and Taurus is the fixed earth sign that it is, logically, this was the really the most appropriate time to celebrate the Earth! I hope you find time to get out in Nature and celebrate the Earth and all its beauty on this very special day!!! The Lyrid meteor shower takes place the nights of April 21 and April 22nd, after moonset but before dawn. Since the Moon will be almost full, the best viewing will be just before dawn. Expect to see 10 to 20 meteors per hour, but Lyrid showers are known for their uncommon surges which sometimes bring as many as 100. They are also known for their brightness and leaving trails. I hope you have the opportunity to check them out! As I close this issue, I send you my fondest wishes for a wonderful Spring! 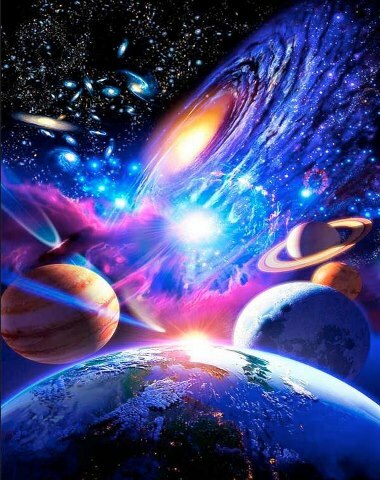 Remember you can get daily updates on planetary positions and energies by following me on Twitter @JourneywithMaya. 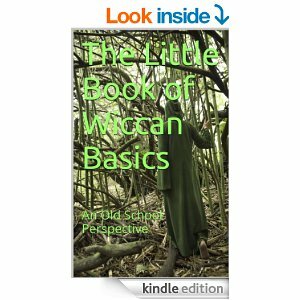 This entry was posted in Astrology and tagged Earth Day, Lyrid meteor shower, Magick, Metaphysics, New Moon, Paganism, Pluto retrograde, Retrograde Planets, Self-Empowerment, Self-Help, Spirituality, Su in Taurus, Transformation, Wicca. Bookmark the permalink.